Garway is a small village in west Herefordshire, up against the River Monnow and the border with Wales. The parish church of St Michael stands in an isolated position to the west of the village. It is a 13th century building incorporating bits of a rounded 12th century church built by the Knights Templar. 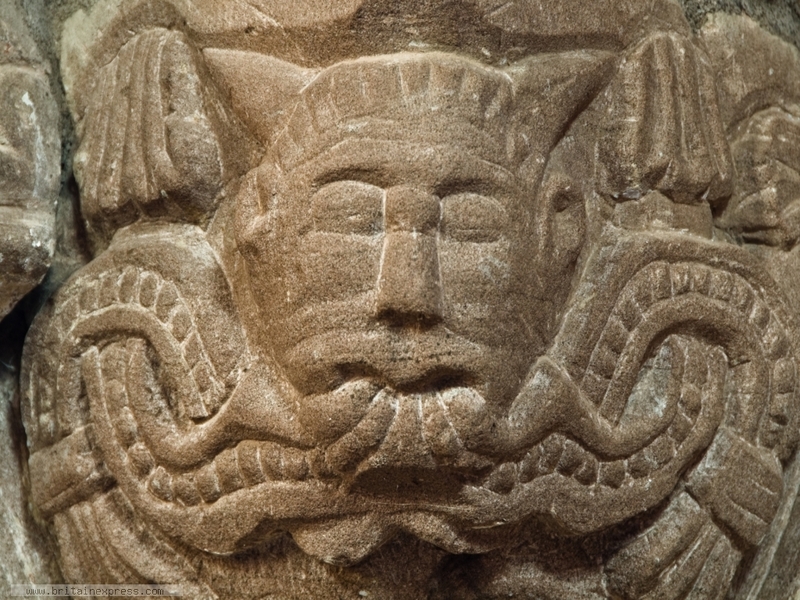 Throughout this 'Templar Church' as it is sometimes called, are fabulous 12th century carvings and symbols, including this column capital carved in the shape of a 'Green Man' - a wild man of the woods - an ancient pagan symbol that found its way into numerous medieval churches in various forms.